If you are looking for some great Things to do in Montreal with Kids, we have a great guide in store for you. Montreal is a great place to spend a day or a week. No matter how much time you get in this great city, you’ll fall in love with Quebec and realize that Montreal is a family friendly location that will become a vacation destination time and again. Montreal is an ideal family travel destination. 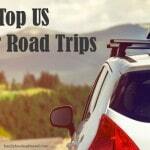 Check out some of our favorite destinations for family travel below. 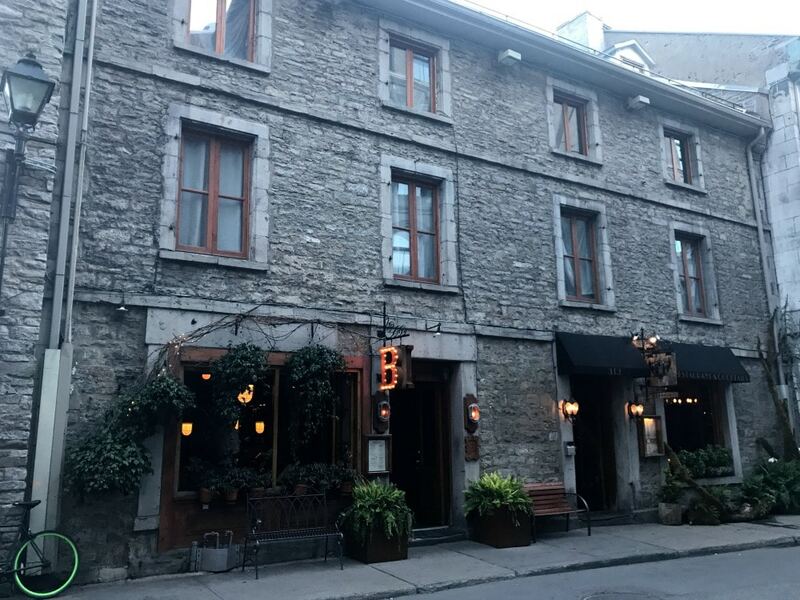 We love taking the time to visit these places, especially, when we head to the city of Montreal. 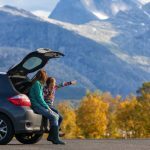 Since they are kid approved, you know the whole family can relax and make this a fun vacation that will also build great family memories. 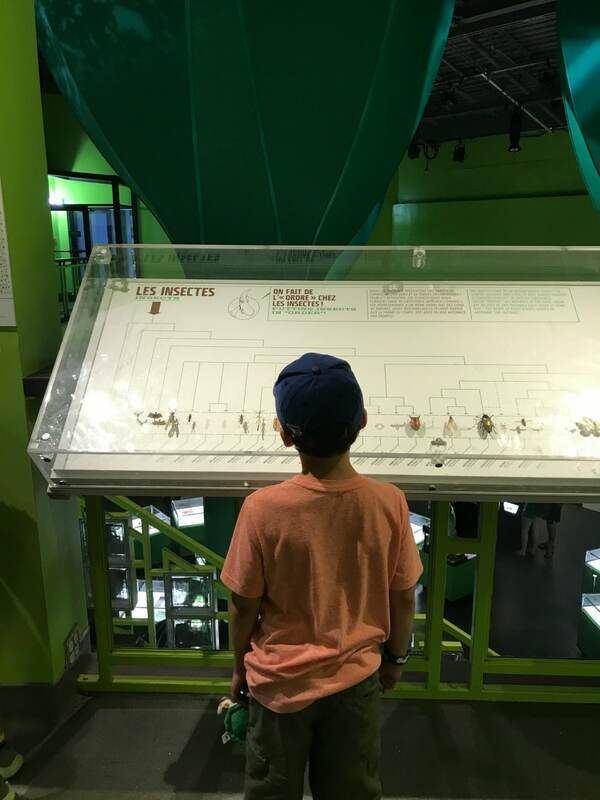 What better way to start of Montreal with Kids then by visiting the Space for Life Museums – it is a great way to get a lot into one. 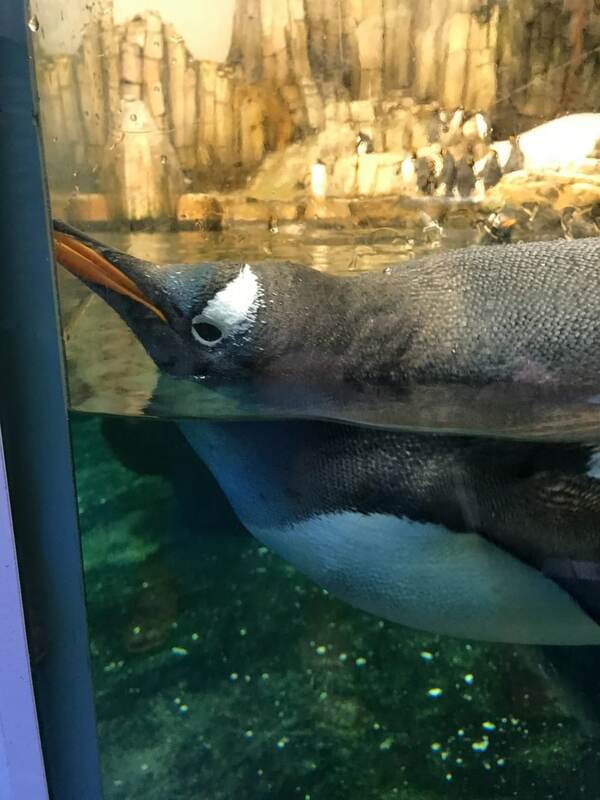 With the Biodome, Insectarium, Planetarium, and Botanical Garden, you find the Space for Life Museums a wonderful way to spend all day with the kids. They love learning while having fun. You just love the fact that they are having fun and learning. It’s a great kid-friendly space that is also entertaining for adults. This is by far, one of the best things to do in Montreal with kids. Bundle all of them together for the best price, and for a great fun-filled day. 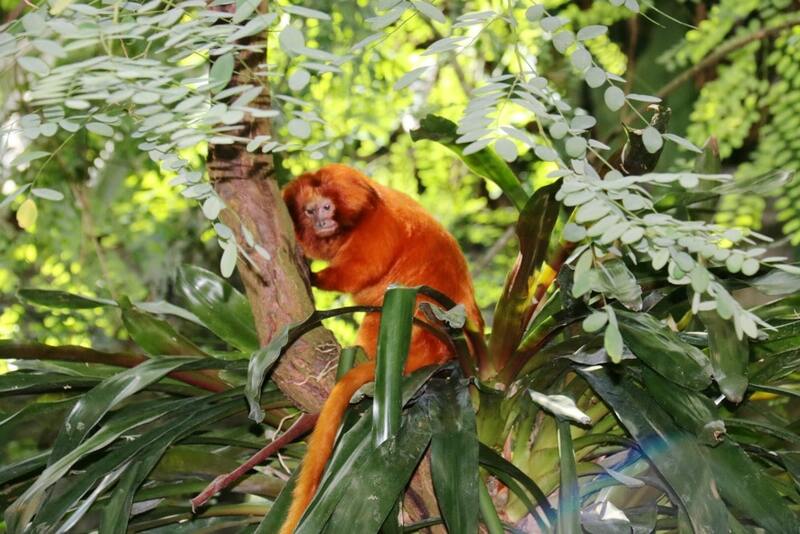 From penguins to monkeys and lots of creatures big and small that offer wonderful learning opportunities. After the Biodome we headed to the Insectarium to discover all about the insect world. We were amazed by the variety of insects on display. If you have an insect lover you must check it out. We could have watched the Leafcutter Ants all day! 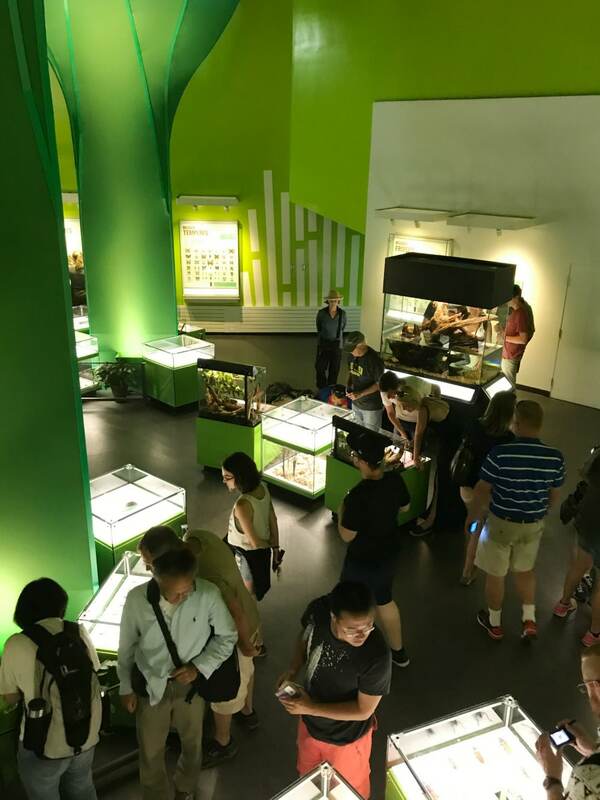 In addition to the exhibits, you can stop by the canteen and enjoy Insects for lunch! From ice cream to lemonade, tacos, burgers and even rice krispie squares there are lots to choose from all packed with insect protein. If you are looking for true hands on fun, this is the place to take your children. The latest CSI experience allows them to learn how to detect things like DNA and fingerprints at a crime scene, or they can simply go to another area and put together puzzles and build with blocks. 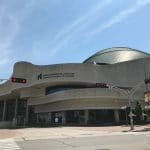 There is something for every age at the Montreal Science Centre that makes it an ideal place to visit while in Montreal with kids. You will love that it has plenty of hands on activities, but also enough for the adults to have a good time learning and exploring in the process. 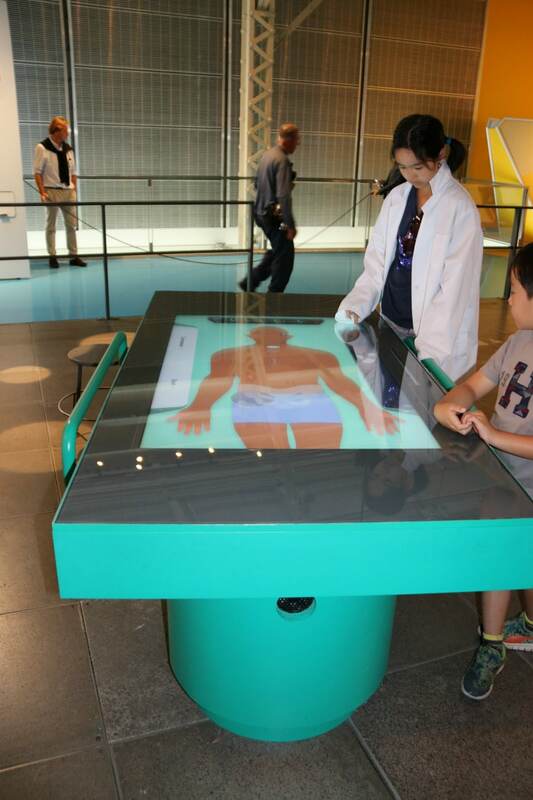 You can even try your hand at surgery with this hands on experiential learning tool! 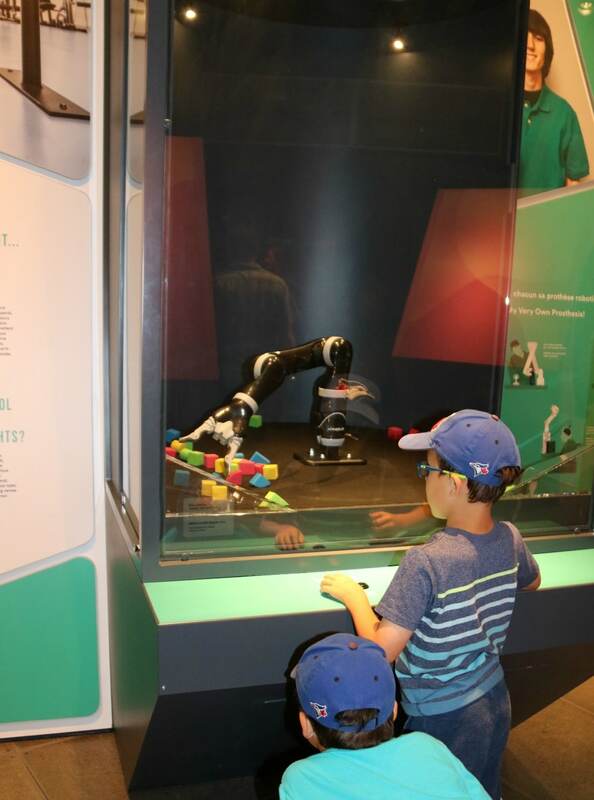 I was really impressed with the variety of activities available at the Montreal Science Centre plus the special exhibit. 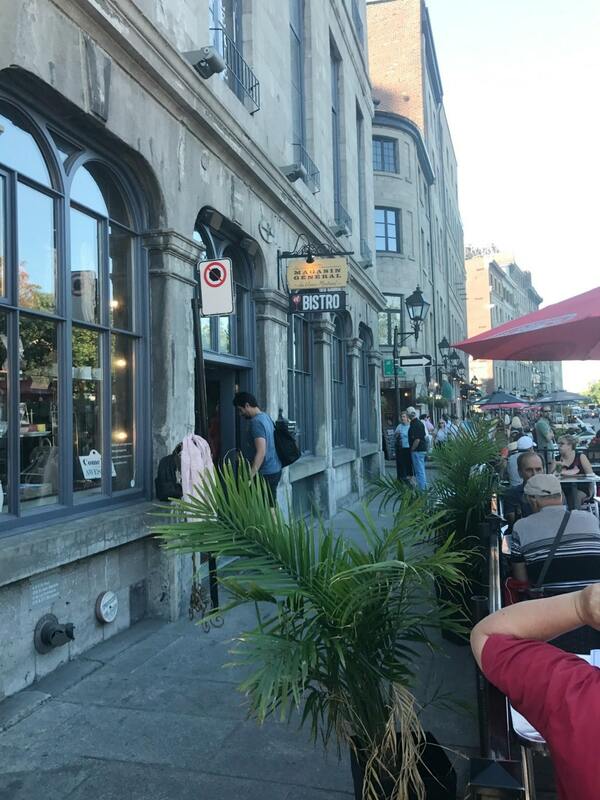 Their location in Old Montreal at the Old Port makes it perfect to enjoy while experiencing one of our favourite parts of the city. We only had a few hours at the Science Centre but we could have easily spent all day learning, exploring and experiencing. For those familiar with the Six Flags brand of amusement parks, the La Ronde Amusement Park is going to be a huge hit. 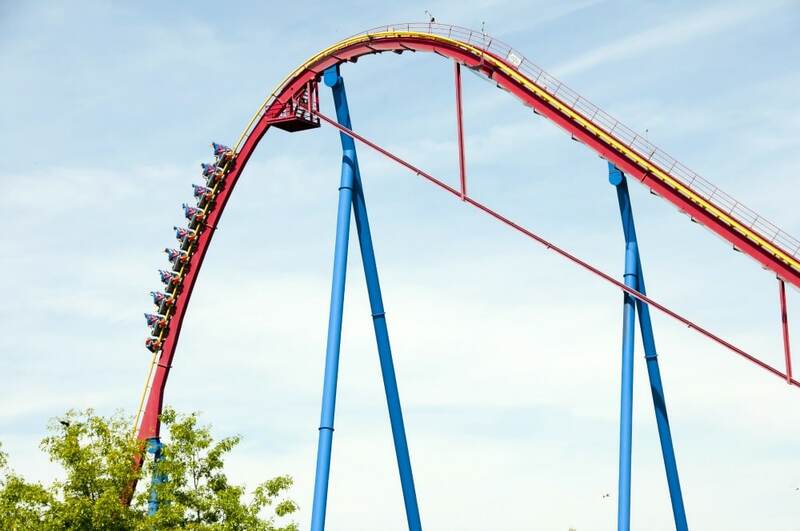 This Montreal based Six Flags La Ronde is a family favorite chock full of the best thrill rides around! Featuring multiple roller coasters, this is definitely a huge hit for teens, teenagers, and adults who are seeking a thrill ride. Don’t fear though, there are more than a dozen family friendly and kid’s rides that are ideal for the younger crowd or those who aren’t into the drops and twists that come from roller coasters. If your children love sports or the Olympics, it is a great addition to any visit to the city. A visit to the Olympic park can be ideal for special sporting events, or just to see the home of a past Olympic event. 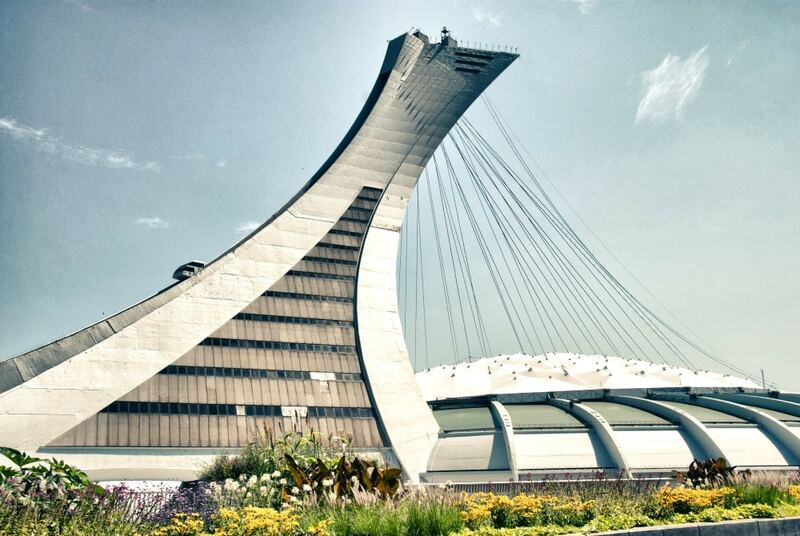 Go to the top of the tower and see a unique vantage point of Montreal. While it may not be for every family, it does hold a special appeal and is worth keeping in mind. For those that love to explore the past and present in Montreal you must visit Old Montreal to experience the city as it was for the past 400 years. Walk the beautiful pathways and explore the Old Port and all that it has to offer. Visit the Notre Dame Basilica and explore Saint-Paul street and try out one of the fantastic restaurants or shop for souvenirs. 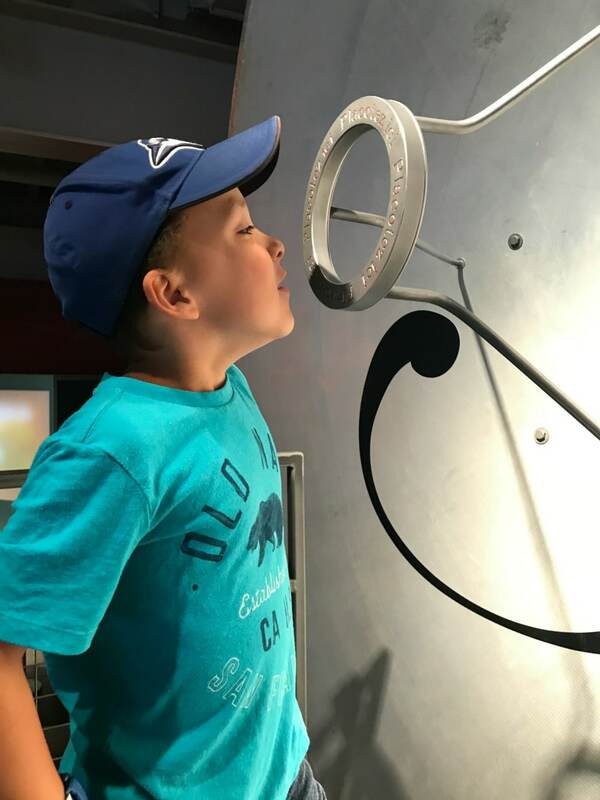 If you are looking for some things to do in Montreal with kids during your next weekend in the city or upcoming vacation, we urge you to visit Montreal – we know you will love it as much as we do! Disclosure: Entrance to the Space For Life Museums and Science Centre were provided to facilitate this review. As always, all opinions are my own. So cool! 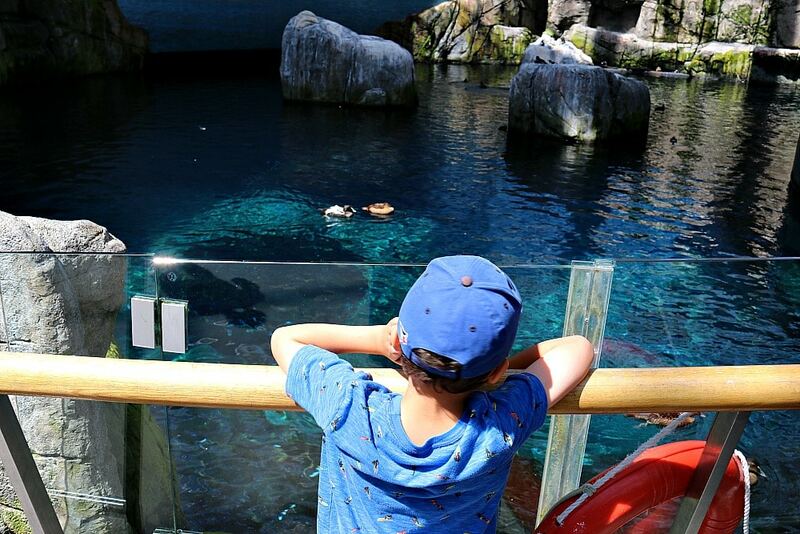 The biodome looks amazing & so does the amusement park! We visited Old Quebec this summer, and now I would love to see Old Montreal too! I love.love.love Montreal. I just love all the places that you suggested. Great city for kids. 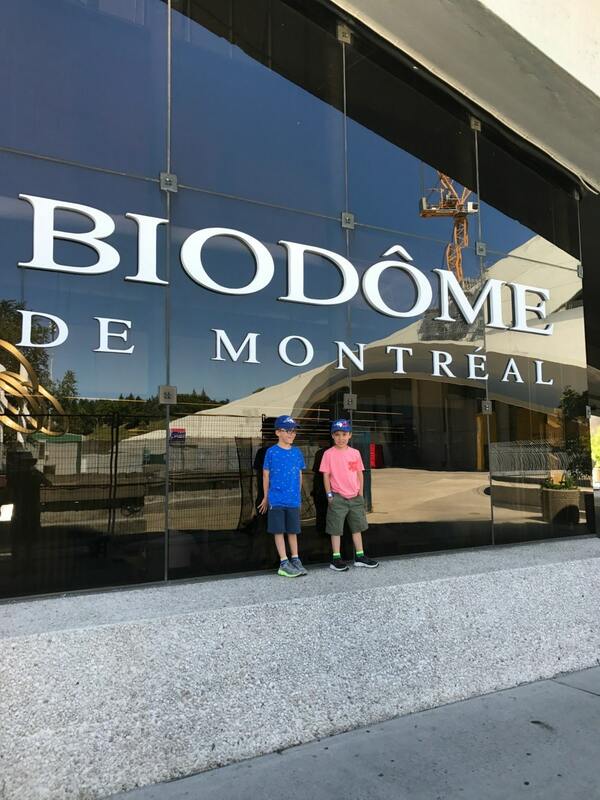 I have been thinking of visiting Montreal with the family to visit the biodome. I think we will have to check out the science centre too – it looks so neat!